It’s a great thing when a community comes together for the greener good. Kennett Township, where I live, is a great example of this community spirit. 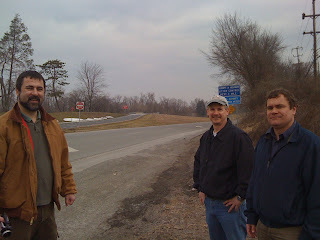 Several years ago Juergen Steininger, Joe Poppiti and Matt Sabo (pictured here) came up with a idea to beautify the main entrance into Kennett Square, PA. 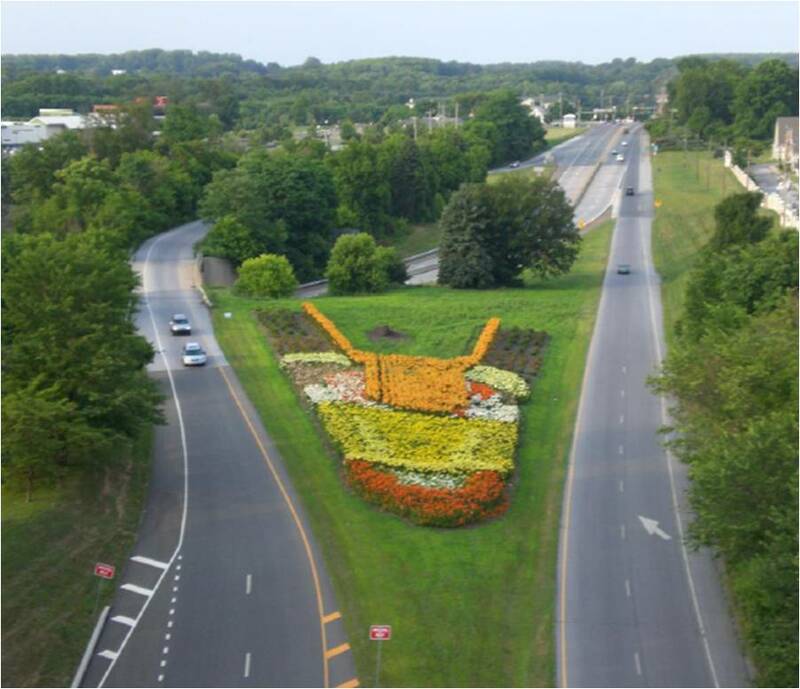 This past week, that effort and the effort of more than 70 volunteers (yes, I planted my share of bulbs) was recognized by Keep America Beautiful, Inc. for its outstanding cleanup and beautification effort that transformed a barren traffic island into a dazzling island of flowers. 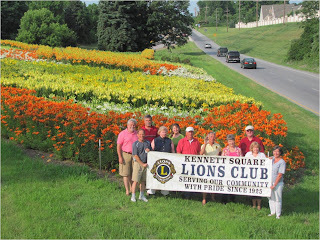 Keep America Beautiful awarded Kennett Township the national first place title for “Beautification and Community Greening” for its “Garden Way” project. helped make the Garden Way a reality. 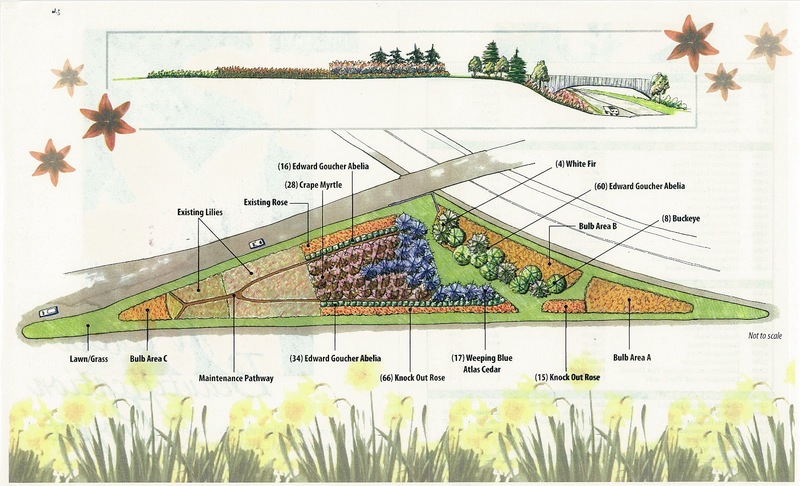 The Environmental Advisory Council (EAC) initiated the “Garden Way” project and provided funding for the initial flower bed preparation. Longwood Gardens provided mulch and plant material was donated by Zabo Plant, Inc. and the Conard- Pyle Company. 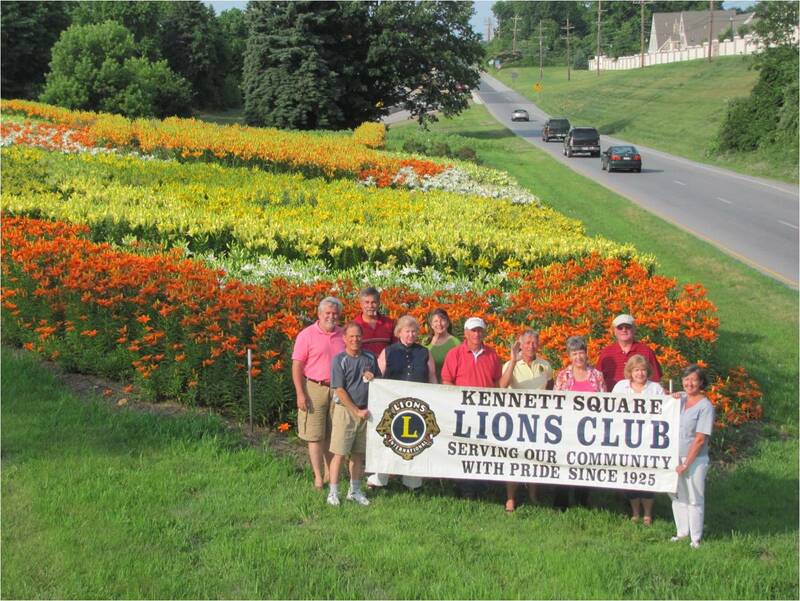 Some 70 volunteers from the community, including master gardeners and Kennett Square Lions Club, contributed more than 450 hours to make this project a huge success. Garden Media handled the publicity and did some digging. Sue Waeber of The Garden Design Group designed Phase I. Nearly 30,000 blooming lilies and 200 Knock Out® Roses were planted in a 5,300 sq. ft. bed on the traffic island at the US Route 1 Interchange. Currently half of the north bound traffic island is planted. Phase II of the project was unveiled by landscape architect Margot Taylor. It builds upon the existing sustainable design, adding more than 240 new plants and bulbs, including Edward Goucher’s abelias, crape myrtles and weeping blue Atlas cedars and, of course, more Knock Out® Roses. Every time I pass the traffic island I think of digging holes and planting bulbs with other people in the community, and I smile with pride in how a community came together to make this sustainable vision of three local men a reality.